The due date for your mortgage loan payment slipped past without you sending a check to your lender. Or maybe you didn't have enough money in your checking account to send an on-time payment to your credit card provider. Don't panic. Your financial misstep might not hurt your credit score just yet. Missed payments are a sure way to send your three-digit credit score plummeting by as many as 100 points. This financial mistake will remain on your credit report for seven years. But late payments aren't immediately reported to the three national credit bureaus of Experian, Equifax, and TransUnion. Often, lenders and credit providers won't report missed payments until they are at least 30 days late. This means that even if you miss your initial due date, you can still avoid a hit to your credit score by paying before 30 days pass. But first consider these variables. Whitney Fite, president of Angel Oak Home Loans in Atlanta, said that most mortgage loans today come with a 15-day grace period. Your mortgage might be due on the first of the month, but lenders won't assess a late fee unless you fail to pay by the 15th of the month. This late fee will vary by the size of your loan, but could be about $100. Credit card companies will also charge late fees if you miss your payment. Those fees vary, but what might hurt more is when your card provider increases your interest rate to the penalty rate. Under rules spelled out in the Credit CARD Act of 2009, your card provider can impose a penalty interest rate if you become more than 60 days late on your payment. These penalty rates are a true punishment, often running as high as 29%. But as long as you pay your mortgage, auto loan, or credit card payment within 30 days of its due date, most lenders won't report a missed payment to the credit bureaus. This means that your credit score itself will not be harmed. Fite warns that you need to be careful when paying after the official due date on auto loans, mortgages, or credit card payments. If you wait too long to send in your check, you might be tempting fate, and you might find yourself facing a late fee or credit hit after all. "It can be a dangerous game to squeeze out a few extra days with the grace period," Fite said. "Any delay by the mail carrier could result in the lender receiving the payment after the 15th and late fees being assessed." If you can, be sure to send in that payment before the 30-day grace period ends. A single reported missed payment can lower your score by 100 points or more, especially if you had a relatively unblemished credit history before your missed payment. You don't want a low credit score. Lenders today rely on these three-digit scores to determine how much interest you'll pay on loans and credit cards. If your score is too low, you won't even qualify for loans or credit. Lenders consider a FICO credit score of 740 or higher to be a strong one. If your FICO score is under 640, you might struggle to qualify for loans or credit cards, and when you do qualify, you can expect to pay high interest rates on the money you borrow. Some missed payments are more damaging to your score than others. "Recent late payments on mortgages are more damaging than late payments on other consumer loans," Fite said. You might not have to be 30 days late to begin receiving unwanted collection calls, too. Fite said that some lenders will begin making collection calls shortly after the first of the month. He said that almost all mortgage lenders will begin calling about missed payments on the 10th or 12th of the month. So if you don't want to hear from collection agencies? 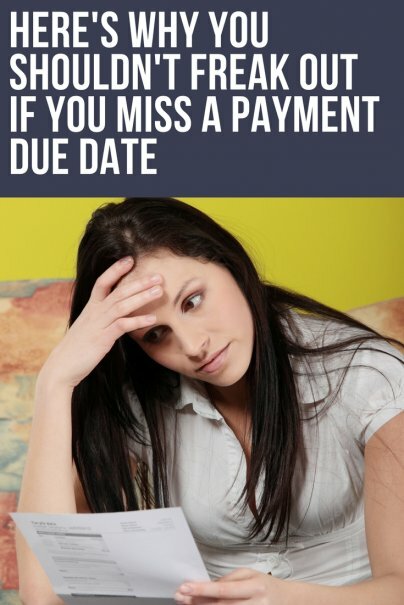 Make those payments on or before your due date. And it goes without saying that paying your bills on time — every time — is always the best policy. How do you stay on top of your bills — and on time?